Published: Sept. 23, 2013 at 06:04 a.m.
(6:45) (Shotgun) J.Franklin left end to CIN 36 for 51 yards (L.Hall). Published: Sept. 23, 2013 at 05:49 a.m.
(11:44) J.Franklin left end for 2 yards, TOUCHDOWN. 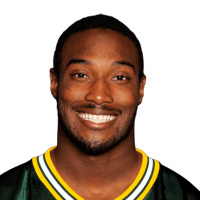 Published: Sept. 22, 2013 at 03:03 p.m.
Green Bay Packers running back Johnathan Franklin scores his first NFL touchdown to help give the Packers a 23-14 lead over the Bengals.